Video production through post is a long journey. Conforming, finishing and mastering are the last steps before delivery and you want an experienced team on your side. Our video professionals utilize the best video gear and software to efficiently handle 4K, UHD, 2K, high definition & standard definition file and tape-based assets and deliverables. Our video finishing services include conforming video from offline edits, final editing, color grading, digital intermediaries, graphic design, HD & SD tape mastering and file-based output, including DCP. We also create deliverables for iTunes packages and other web-based distribution mediums. 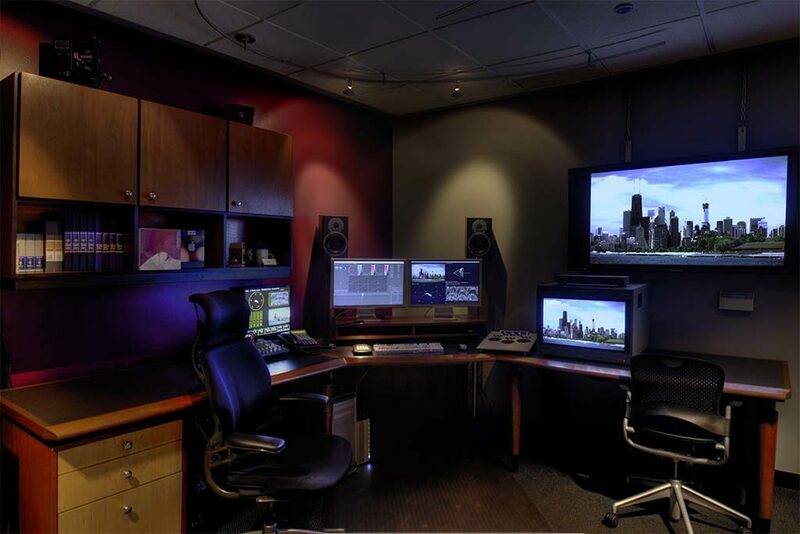 Full‐service audio post-production is available through our colleagues at BAM Studios. Conveniently located in our studio space, BAM’s audio engineers, sound designers and superior 5.1 audio rooms and recording booths are simply the best in Chicago. Please contact us to discuss your finishing needs so that we may provide you with an accurate estimate of time and cost.